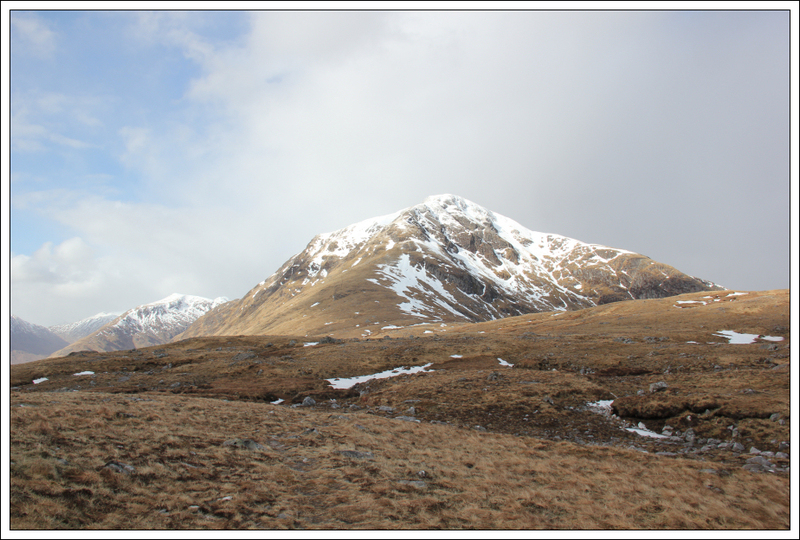 An offer of transport was gratefully accepted this morning for an ascent of Gairich, the Munro located above Loch Quoich. 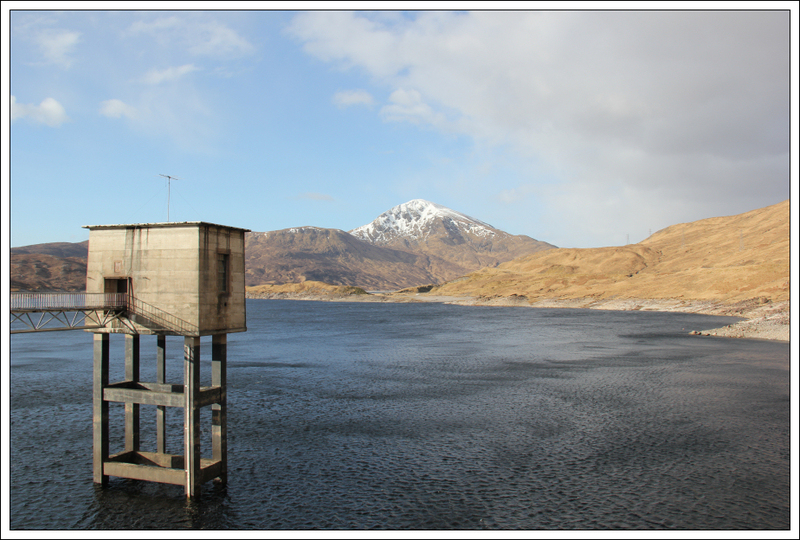 We set off from Elgin at 06:30 arriving at the Loch Quoich dam just before 09:00. 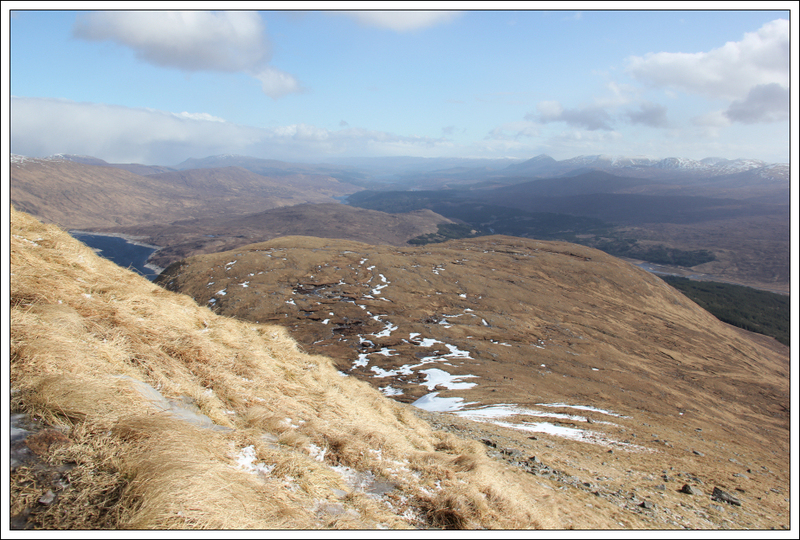 Once suited and booted, we ascended Gairich via the standard route as described in the SMC ‘The Munros’ book. After taking an initial roadside photo, we climbed over the locked gate to gain access to the top of the dam. 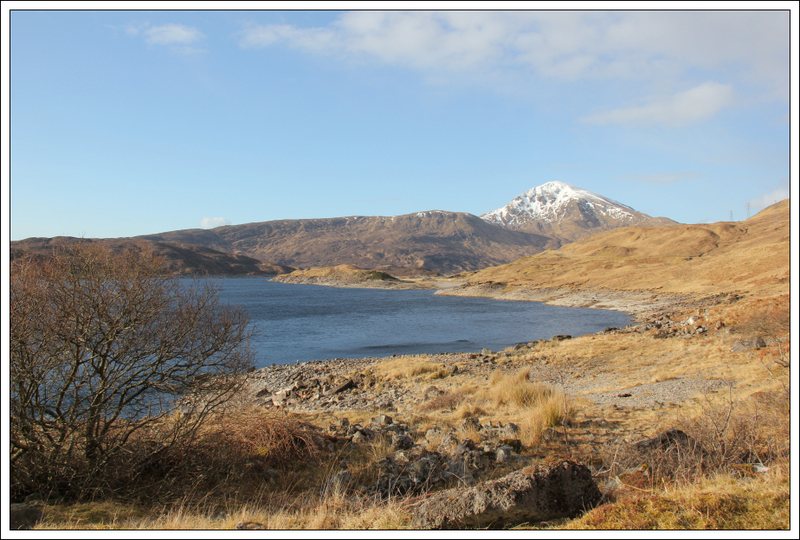 Once across the dam, we followed the track along the East edge of Loch Quoich heading towards the start of the Druim na Geid Salaich ridge. The forecast for today was gusts to 55mph with -21C windchill. 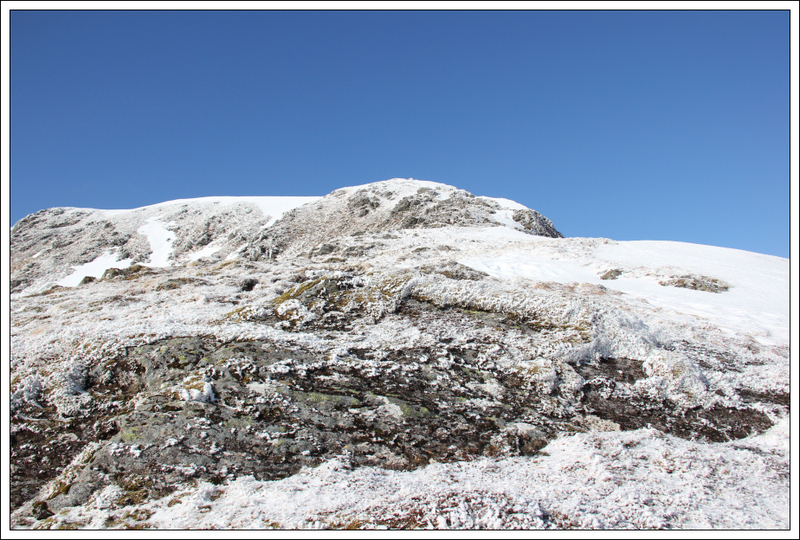 From the base of the hill, I could see clouds rapidly blowing above and across the summit. It was going to be windy up top! 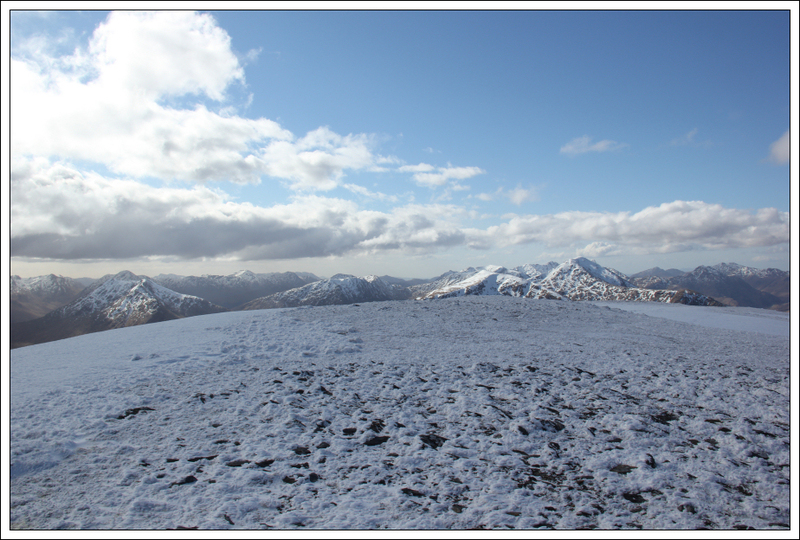 I last ascended Gairich on 31st December 2003. 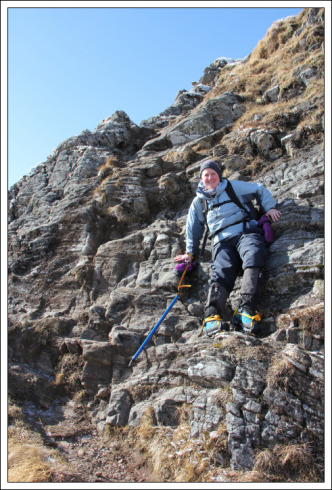 I remember the date well as my previous ascent of this hill proved “interesting”. On 31st December 2003, a storm was forecast to arrive in the early evening. This storm front actually arrived fairly suddenly in the afternoon, earlier than anticipated! 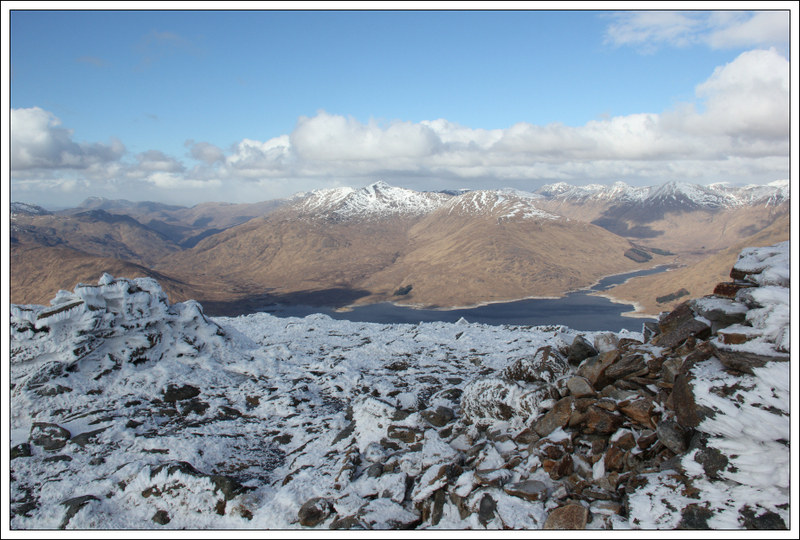 I reached the summit of Gairich in whiteout conditions and in ferocious winds. It was so bad I could barely read my map and could not descend back the way I had come. At the summit, I had to improvise a new route to get me off the hill. 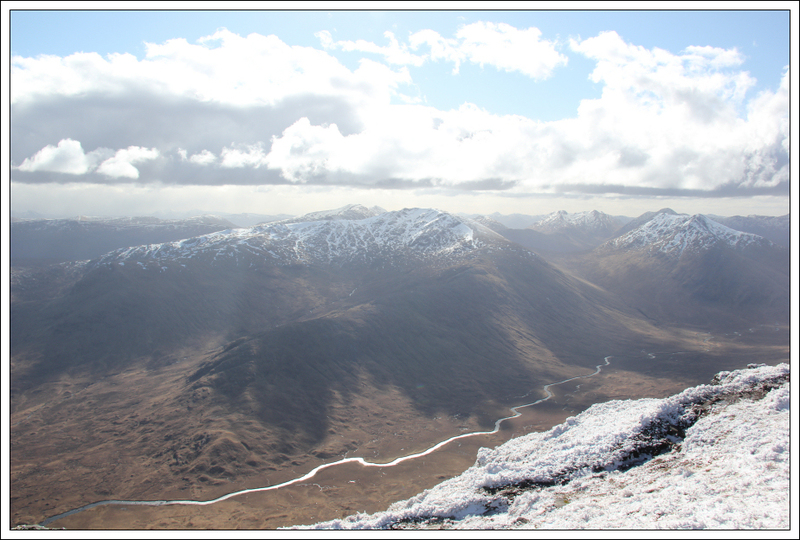 I ended up descending the North ridge of Gairich down to Loch Quoich as this route would provide most shelter from the wind. 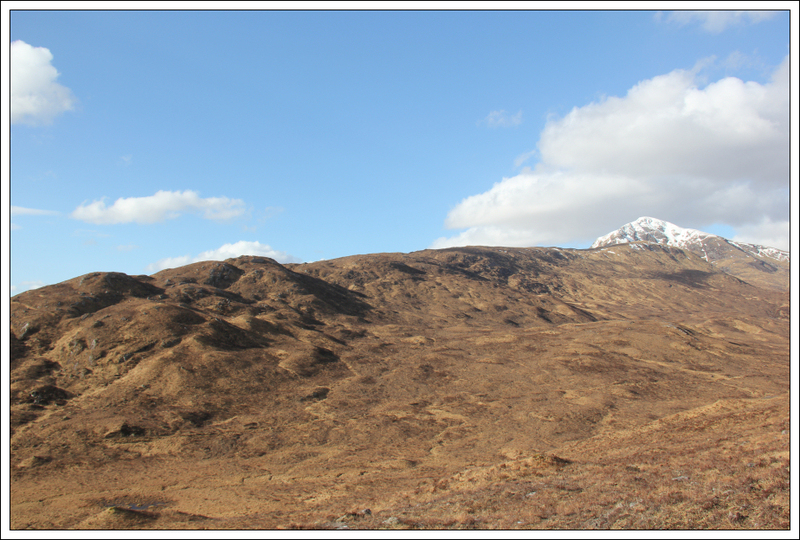 On eventually reaching the loch, I had to cross several kilometres of pathless terrain to get back to the in-bound track. I was definitely out of my comfort zone that day. 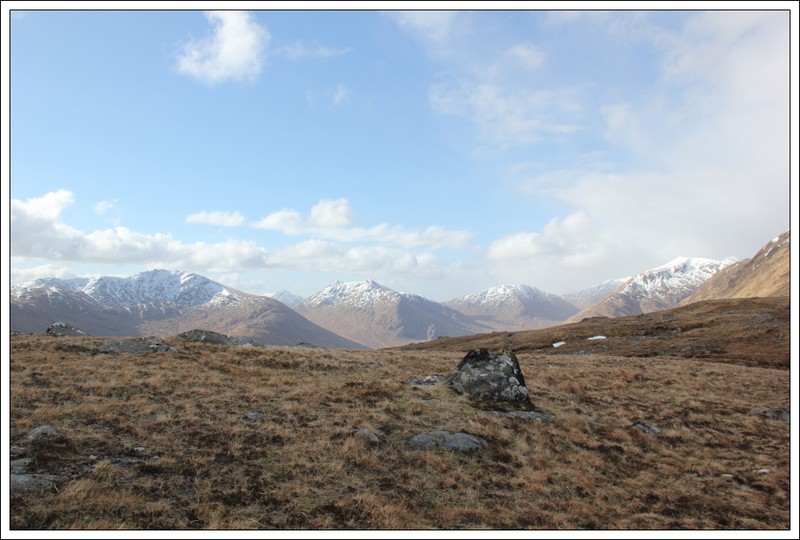 During the walk along the Druim na Geid ridge, it was nice to look across to Sgurr Mhurlagain and Fraoch Bheinn. 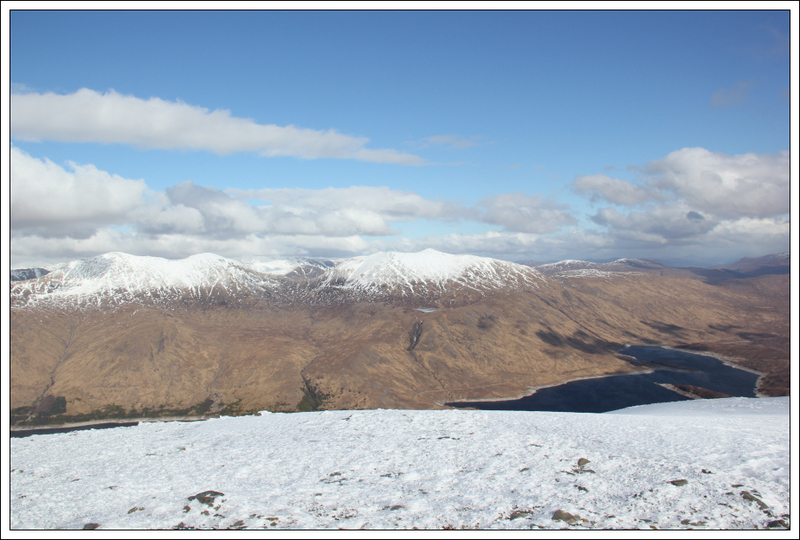 Myself and Beinn had a cracking day on these hills back in February 2010, after a cold night sleeping in the back of my car. On reaching a height of 700m, we stopped to put on crampons as there were a number of patches of thick water ice on the path. 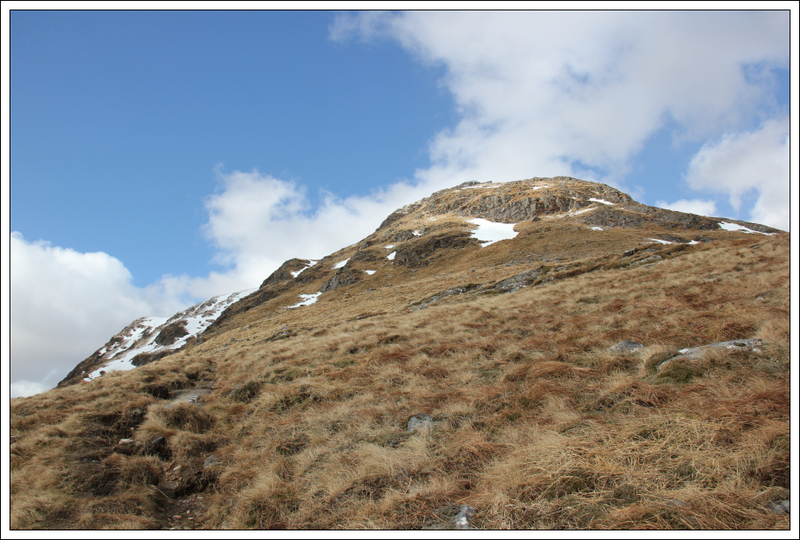 The next hundred metres of ascent was made much trickier than it should have been owing to the strength of the wind. 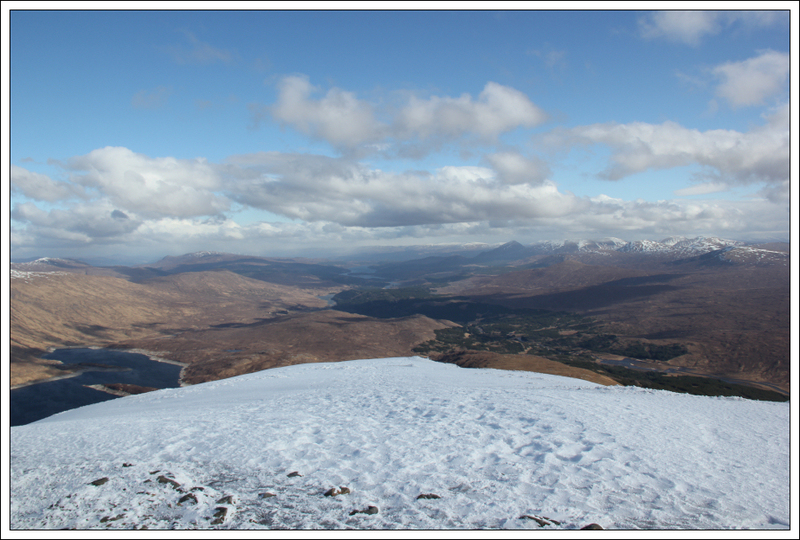 On reaching the rim of the coire, it was really blowing a hoolie up there. Discretion being the better part of valour, Angusina opted to descend back down out of the wind. 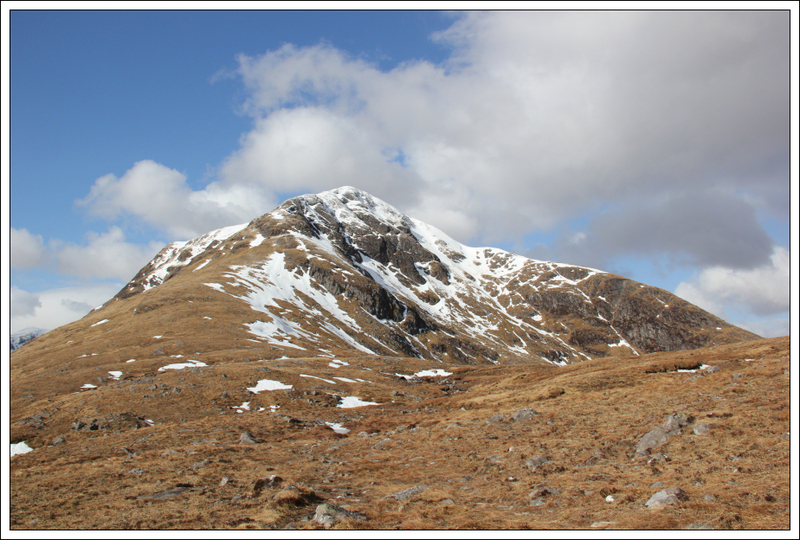 After descending a hundred metres or so back down with Angusina, myself and Rachel re-ascended back to the rim of the coire and on to the summit of Gairich. 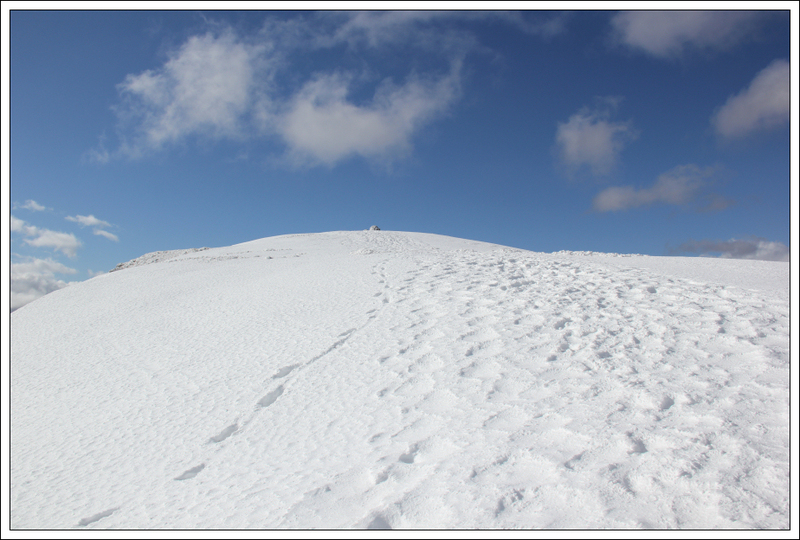 There was just one short scramble on the way to the summit, which was straight-forward as it was free of snow and ice. 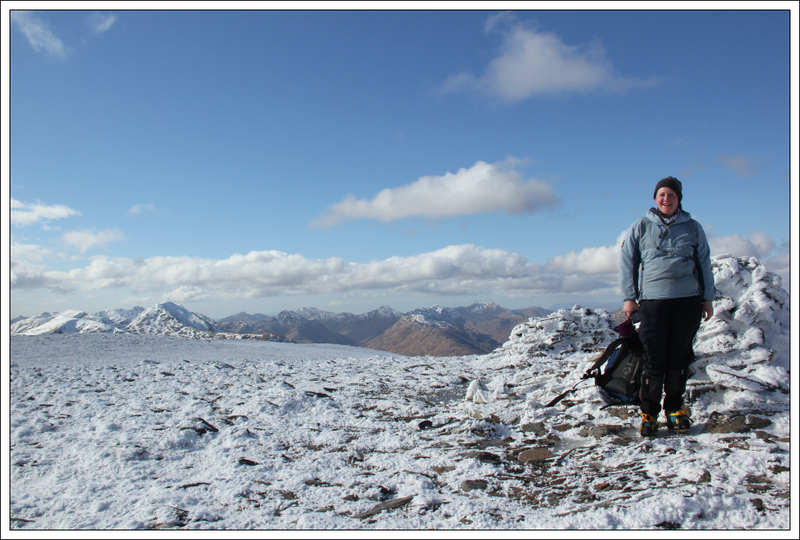 We stopped at the summit to take a number of photos. 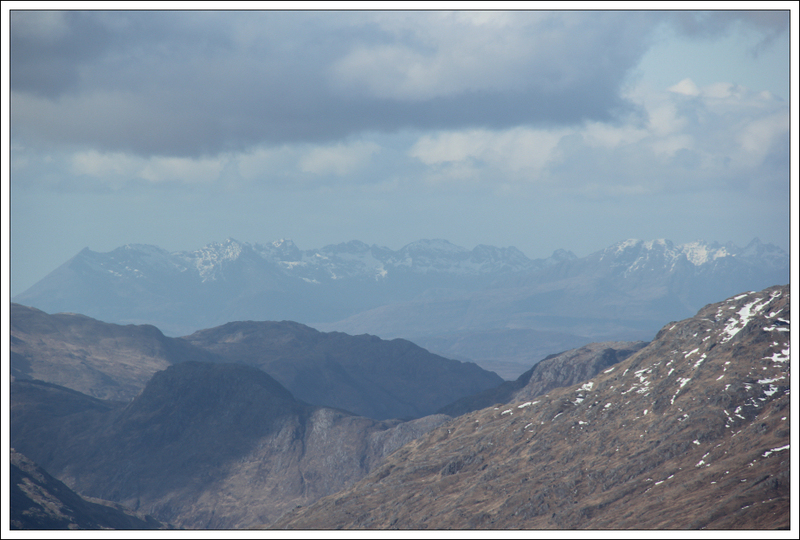 The views were superb. 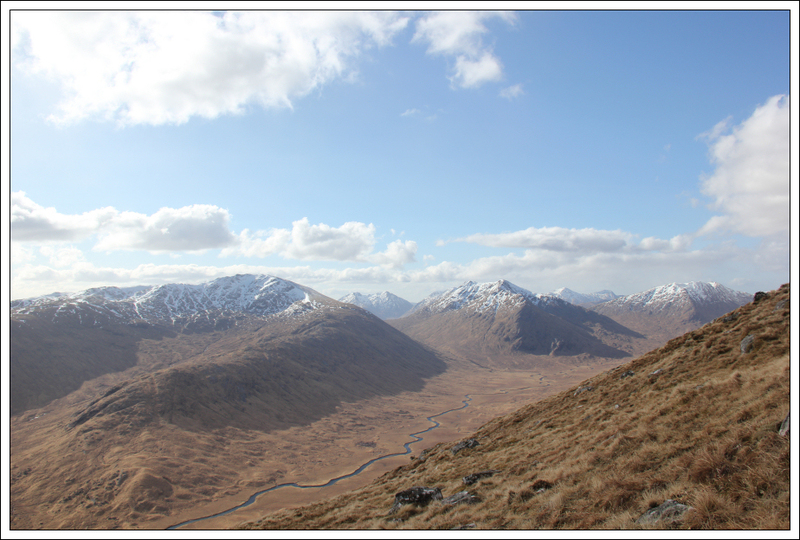 We then made our way back down via the same route with a brief stop at the short scramble to take a photo. 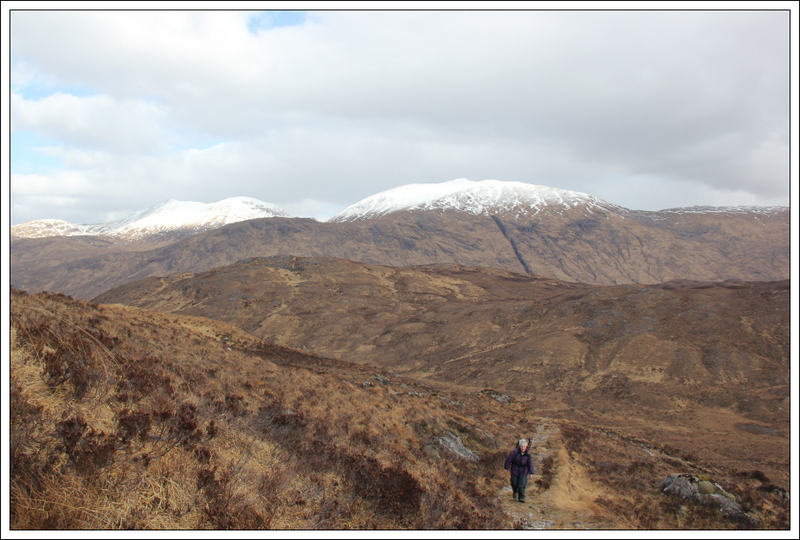 We met back up with Angusina on the Druim na Geid Salaich ridge and continued back out to the car. 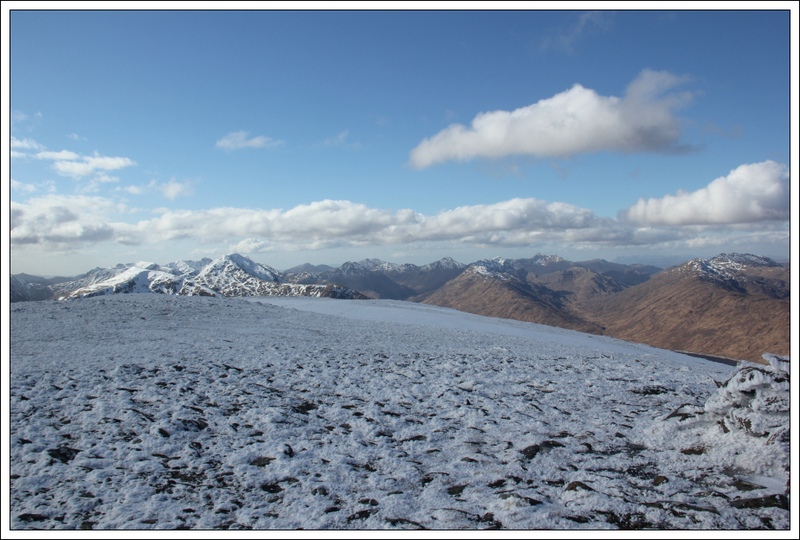 On reaching the end of the Druim na Geid Salaich ridge, I take the blame for not looking at the map and taking the wrong path . The navigational faux pas was soon put right with a short-cut skirting Meall a Chait. A good day out .